Bring your vehicle to our Leesburg Volkswagen Service Department for speedy, professional oil and filter change service, and while you’re here, check out our Service Specials. Quality, fresh motor oil keeps your engine purring. New oil reduces temperatures and friction by lubricating moving parts that rub against one another. If your engine suddenly lost its motor oil, it engine would implode from the tremendous friction -- parts would break, seize up, bend and melt. 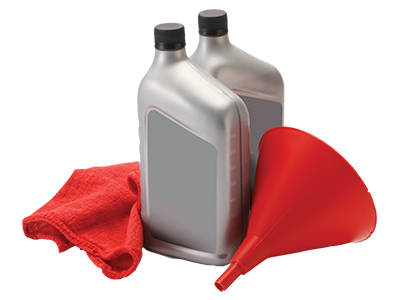 To extend your vehicle’s service life, it’s important that you pay attention to the manufacturer’s filter and oil service recommendations. The simple act of driving your car creates deposits that can hurt your engine’s performance. The only way to prevent this is to regularly change the oil and oil filter. The certified, factory-trained technicians at Leesburg Volkswagen have the skill to care for your car, whatever the brand and model. We perform all kinds of repairs and maintenance on cars, vans, trucks and SUVs. Our advanced Service Department has the most modern repair equipment and diagnostic gear. If your engine is burning or dripping oil, our service technicians will rapidly diagnose the problem and correct it. We always replace the oil filter with each oil change, because an old clogged filter is a problem waiting to happen. Expensive repairs could be the result of driving with dirty oil, perhaps costing you thousands of dollars. Protect your wallet -- replace your oil at the recommended intervals! Maintaining your vehicle to our Service Department is the best way to keep it operating perfectly. 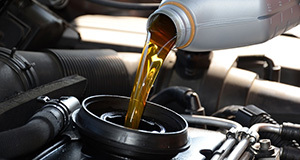 Leesburg Volkswagen is your convenient oil change headquarters Leesburg and the surrounding area. We’ll replace your oil and filter, top off low fluid levels, and check for problems that can threaten your car’s health. Don’t procrastinate – schedule an oil change with Leesburg Volkswagen today. You can depend on our Service Department to keep your vehicle in peak condition!